In the summer of 2017, Nobelberget Market was started, a bustling festival with food, music and activities for the whole family. Studio Feuer together with Cecilia Lindgren Studio developed the design profile. 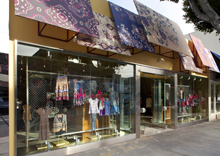 The work included grahic design and site elements: Logo, posters, flags, signage. 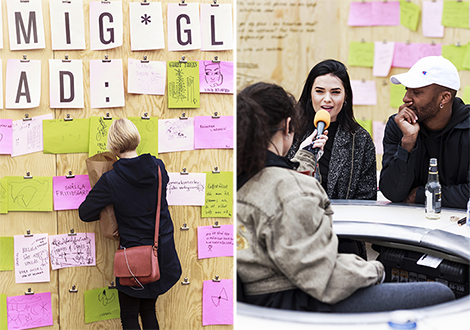 We also developed and produced a series of activations for Atrium Ljungberg during Nobelberget Markets, i.e., the world premiere of Talkaoke Stockholm, and an interactive suggestion wall. 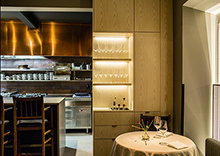 Arirang is an institution on Stockholm’s restaurant scene. A sanctuary for corean food opened in 1975, still run by the same family. 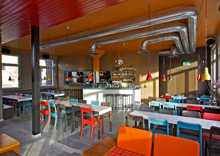 Icha Icha Mall of Scandinavia serves quick, healthy food with asian flavours. The interior also has a distinctly asian touch. 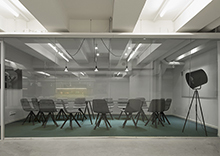 Tove Sjöberg/ Studio Feuer and Ida Wanler/ Arkitema have collaborated on public and social parts of Weekday’s new office in Stockholm, Sweden. 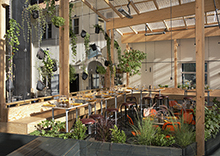 Växthuset (”The Green House”) Restaurant at summer club Trädgården, Stockholm. 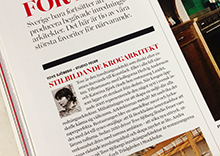 Studio Feuer is featured in Plaza Deco Magazine no. 2013-03 – as one of Plaza’s ten favourite interior designers ! 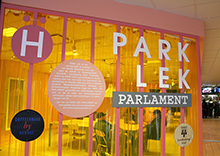 PARK LEK is an art project by artist Kerstin Bergendal, now taking place in Hallonbergen Centrum mall. Vice Nordic re-launch + Nokia, party at Färgfabriken in Stockholm. 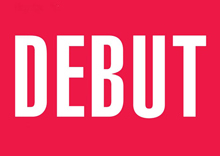 Studio Feuer was resposible for the design. 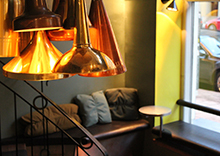 Folkbaren in Stockholm, is getting a new, updated interior in the downstairs bar. 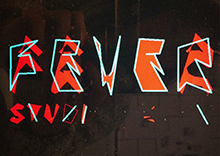 …But of course, Studio Feuer (studiofeuer) is on Instagram… Do follow! 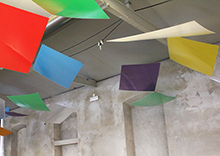 August 2010, a new art hall opened in the underground beneath the 1942 Cocoa Laboratory. 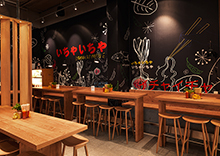 Studio Feuer designed the interior. 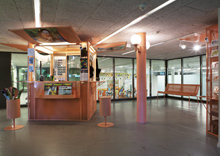 Our interior for Marabouparken Art Hall was nominated for Arkitekturs Debut Prize, published in Arkitektur no 6/2011. 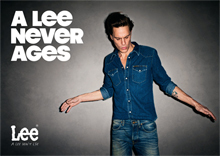 Studio Feuer, aBlast and Grandins Flying Circus has developed in-store installations for the Lee campaign “A Lee Don´t Lie”. Odd Molly has moved in at Robertson Boulevard, with her chaotic and bohemian rumble of suitcases and boxes. 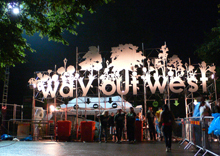 Sweden´s nicest music festival, in the park Slottsskogen in Gothenburg. Landet is a self-confident neighbourhood restaurant that makes people take the subway out of town to eat a good meal and have fun.